It is increasingly important that organizations have an effective succession management strategy in order to ensure leadership renewal, prevent critical position shortage and to foster a talent-oriented culture. Talent identification and development is a critical part of succession planning and is important to ensure talent gaps can always be covered and that your high potentials and performers are always equipped with the right competencies and knowledge to take on leadership roles in the event of organizational growth, talent loss and/or management turnover. While the process of succession planning is unique to each company, there are general processes, approaches and strategies that can be taken to ensure you create a successful talent and succession management strategy. 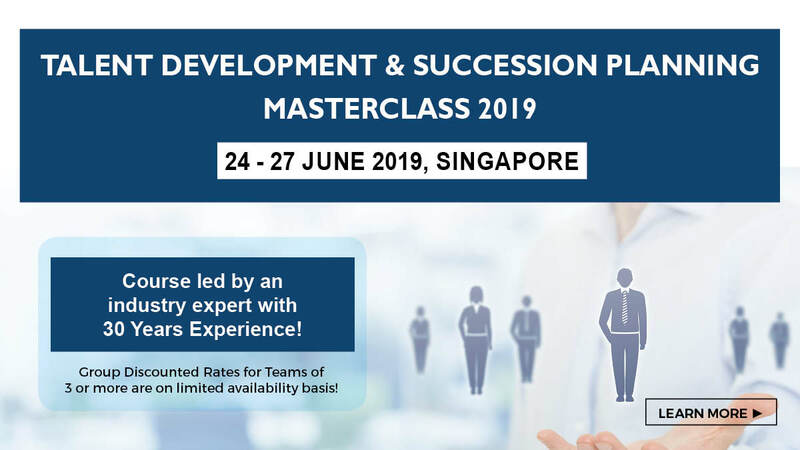 Through case studies and real industry practices, attendees will be exposed to success factors, practical strategies and best practices when it comes to developing an effective succession planning strategy which incorporate effective talent identification, development and management frameworks which align to your company’s business objectives. 8 Reasons Why You Must Attend! To learn more, please visit here or email at enquiry@equip-global.com today!